Female director Sarah Gavron and female writer Abi Morgan have joined forces to create an epic feature film which has opened this year’s 59th BFI London Film Festival, and they have done so in an inspirational manner. 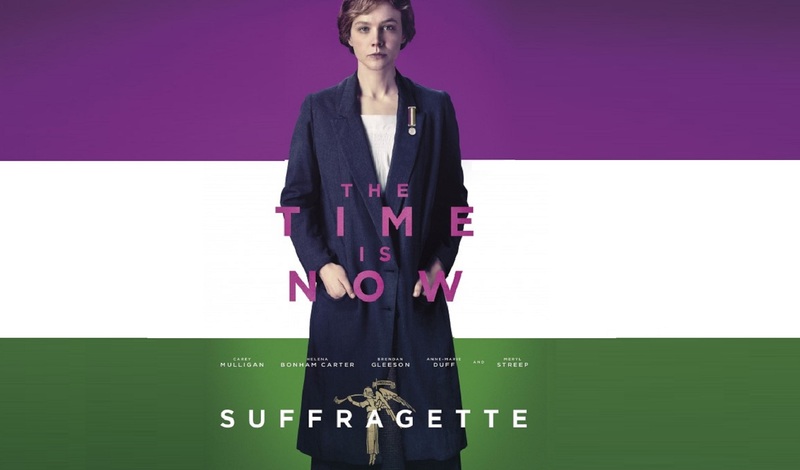 With a female-led cast SUFFRAGETTE tells the historical story of Emmeline Pankhurst’s (Meryl Streep) loyal followers of her ‘votes for women’ movement in the early 20th century just before the world war. Forced to drop their peaceful protests for a more hostile approach, the women of London smash their way into this film by vandalising shop windows on Oxford Street. Maud Watts (Carey Mulligan) finds herself in the midst of this anarchy and cannot believe what she is witnessing. After getting past her initial shock, she is captivated by the actions of her co-worker Violet Miller (Anne-Marie Duff), and plagued by an abusive history at the hands of her seedy boss, she decides to stand up and fight for women’s right to vote with the rest of the movement. Carey Mulligan is terrific as Maud Watts, who demonstrates the levels of resilience that these wonderful women has back in 1912. She is ruthless yet sympathetic, and extremely believable in her role, putting in a BAFTA worthy performance! Other outstanding performances come from the likes of Helena Bonham Carter who plays Edith Ellyn, the leader of Maud’s particular group of soldiers, who pretty much worships Emmeline Pankhurst (Mery Streep) and is one of the few women in this feature who has the form of male support from her husband. However, all the women in this feature have to be celebrated as others such Anne-Marie Duff and Natalie Press are also superb. 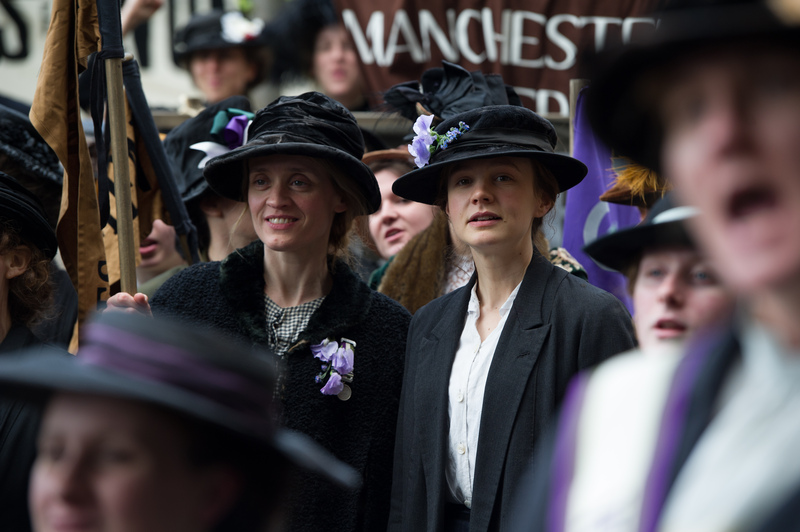 In addition to this, one of the great things about this feature is that it focuses on the unknown and perhaps unassuming “Suffragettes”, and by doing so, it emphasises just how god-like Pankhurst was to these women, with only a short five minute appearance from Oscar winner Meryl Streep unfortunately. It would have been great to see more of her, but I fully understand the writer’s and director’s reasons for not including her as much, due to the fact that if this was a film simply about the leader of the Suffragette movement, it would not have been as relatable, and would just have been a repetition of what the majority of the British public have once learned about in school. Credit also has to be given to the likes of Ben Whishaw, Brendan Gleeson and Finbar Lynch who portray the conflict of male opinion which existed during these tough times and all give stellar performances. There is no doubt that this is a film which will make an impact on its audience. The story of these “foot soldiers” is so captivating, so heart-breaking and yet so uplifting that you cannot take your eyes off of this feature. That being said, the one major weak point of this film, that I personally found, is that it is a slow burner, which at some points feels as though it could be a little more engaging. A film which is only 106 minutes long, very surprisingly, does leave you feeling as though you have just walked away from a two and a half hour epic; however this is likely to be both applauded and resented by different audiences. Overall, SUFFRAGETTE is a moving, enlightening and inspiring historical drama, which has been worthy of a cinematic appearance for decades now, and it is very satisfying that it has finally made it to the big screen. Directed beautifully, with endless fantastic performances, this film is one which should be celebrated, and is a deserved opener of this year’s BFI Festival. Scenes will shock you, anger you and most certainly overwhelm you, but be prepared to watch a pretty gritty and tiresome epic. Recommendation: SUFFRAGETTE is a historical drama which is a must watch for all women AND MEN out there. Worthy of a cinema watch but also an understandable home viewing.